The word “home” is so interesting. It’s amazing how the definition can shift and change. We’ve been in Seattle all summer. When it’s time to leave the playground I tell Henry “let’s go home”. He knows that we don’t permanently live in Seattle but understands what I mean by “home”. It’s where we are staying. Even when we are staying in a hotel for a weekend, the same term applies. 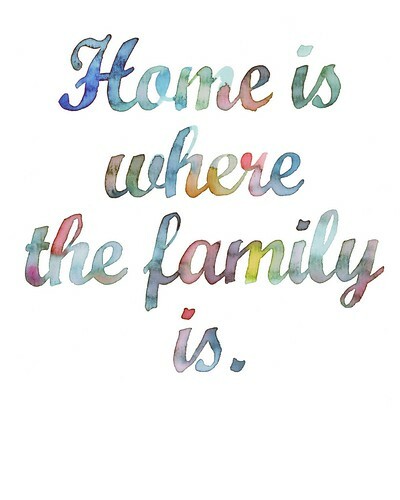 Where the family is, is truly home. Being here has gotten us thinking about what we want out of our home going forward. We love our apartment in Manhattan but absolutely loathe our neighborhood. It’s dearth of green space, disturbing traffic and fire truck clamor and lack of friendly neighborhood vibe get us down. Somehow our eyes opened and we know we need to make a change, not only for Henry but for ourselves. We’re going to San Francisco for a week (leaving tomorrow) and then heading back to New York City. We’re at a crossroads. We want to find a home for Henry in a welcoming environment with space for him to breathe and grow. We wonder if we’ll drastically change the place we call home and go west to San Francisco or go back to Brooklyn. Either way, as long as we’re together, home is there. Above is a little watercolor lettering piece I did a while back.